Last updated 14 August 2018 . By Anisah Audu. 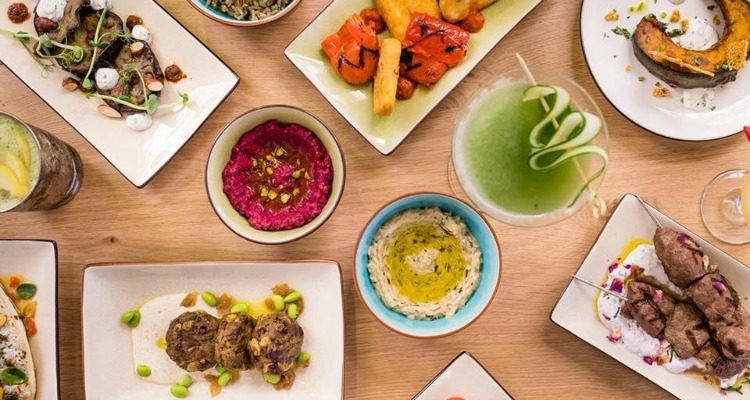 Kensington's favourite Levantine restaurant is shaking things up in Soho. Hot on the trail of a string of successful pop ups and its first all-day restaurant on Kensington’s Old Brompton Road, Ceru has spread its wings to Soho. 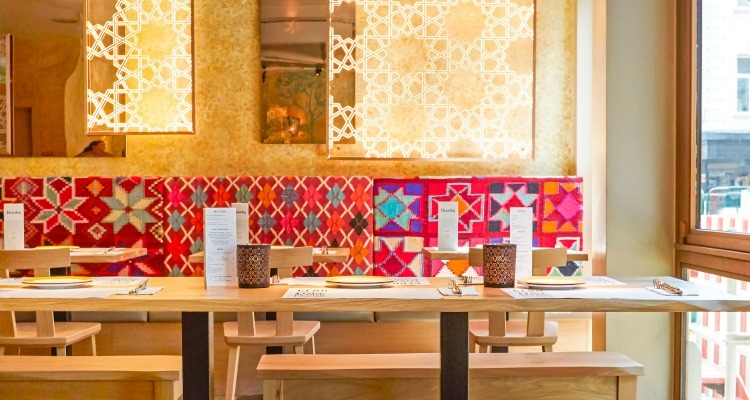 The Mediterranean eatery specialises in Levantine cuisine (yes, we googled it too) which encompasses flavours of the eastern Med; including Lebanon, Israel and Jordan. Inspired by their travels to the region, founders Barry and Patricia Hilton - a husband and wife duo - have crafted an enticing blend of exotic flavours and refreshing cocktails in a relaxed atmosphere. If it’s a buzzing vibe you’re after, Soho is always a good call. We visited on a Wednesday and watched as the tables slowly filled up around us. With huge open windows, the restaurant is airy and comforting; a perfect spot for loved up couples looking for some privacy, through to lively groups after big tables and sharing plates. The interior is fresh, with heaps of wood and gold accents contrasted by bright artwork curated specially by artist James Gemmill. Set your taste buds tingling with eastern Mediterranean specialties. Mediterranean food isn't all shakshuka and kebabs, you know. While you can expect simple dishes like dips and bread (3 for £5.50), you’ll also find more intricate dishes, where big flavours are perfectly balanced. Split between seafood, meat, poultry and vegetarian, the menu features standout dishes like the aromatic Persian kafta (£9); a juicy hunk of spiced beef resting on a zesty tarator sauce, along with the delicious karides (£10) which skewers four large prawns, grilled in a marinade of garlic and lime, then served with a light coriander labneh. Drinks and desserts are just as tasty, with a showstopping dark chocolate mousse (£4.50) ready to be washed down with signature cocktails (£7.50) or Levantine wine by the carafe (from £17). Ceru Soho is open daily from 12pm - 11pm on weekdays, 11am - 11pm on Saturdays and 11am - 10pm on Sundays at 11 D’Arblay Street, London, W1F 8DT.